Chaotic is an experimental aerial project based on the idea of a double pendulum, which is a system that consists of a primary pendulum with a secondary pendulum, lighter than the first one, attached to its end. Due to its configuration, it creates chaotic and very interesting patterns of movement. 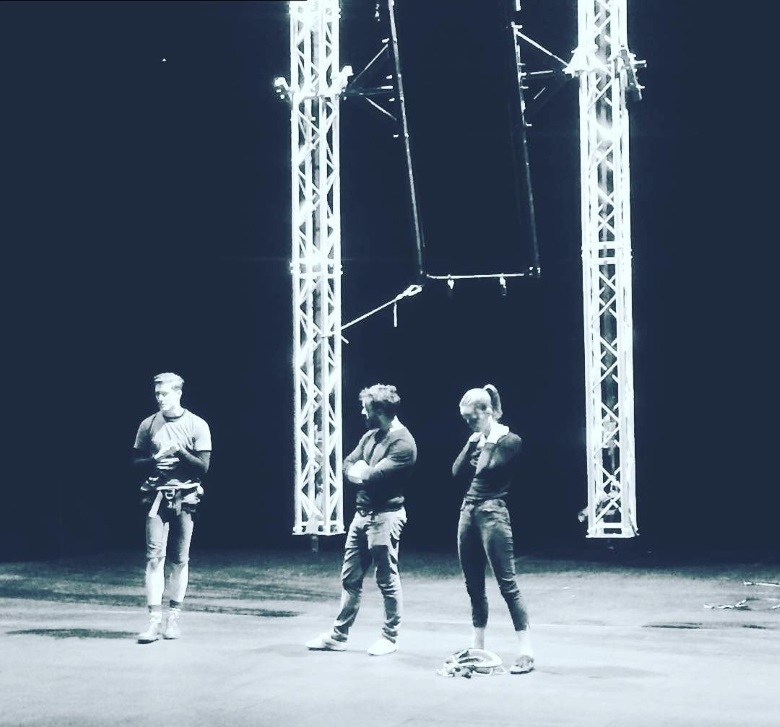 Our aim is to create an aerial structure where circus performers can take the role of the primary and secondary pendulums, allowing them to influence the swinging patterns in different ways and to perform acrobatic movements at the same time. The project has been supported by NCCA and Pontio through Lab:time and Lab:time².